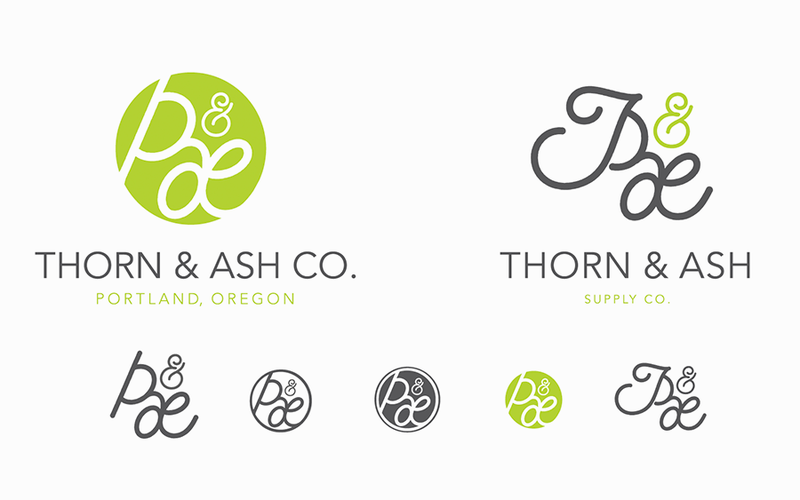 Thorn & Ash Supply Co. is a Portland, Oregon-based designer and manufacturer of hand-built furniture and household items. I was hired to design the logo. Click on the images for more info and a closer view. The words thorn and ash have roots in woodworking by nature; thorn and ash trees. 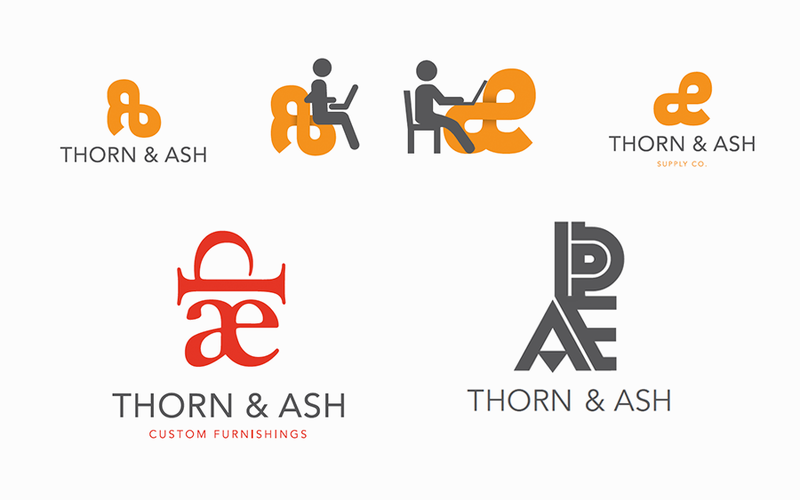 The name and letter form go a bit deeper and are derived from two forgotten / dropped letters in the English alphabet: Þ and æ. Ash although not in our alphabet is still used in the form of a ligature combining a and e.
Adaptation and illustration of the ash / æ character. 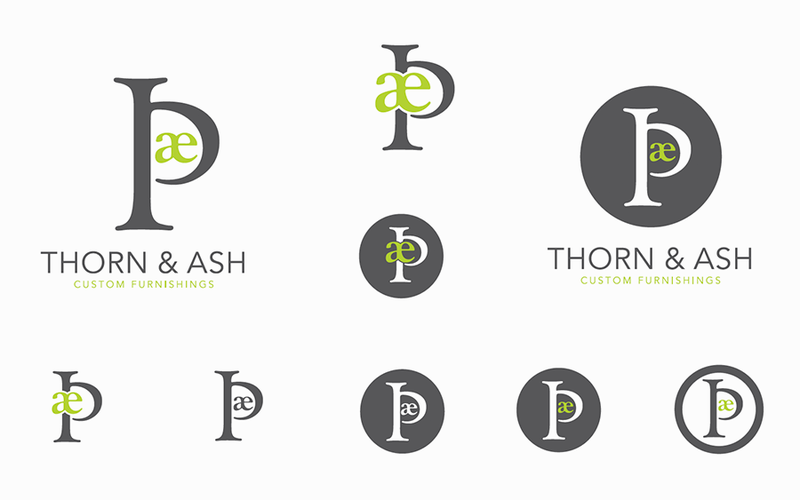 The ‘a’ character when flipped or mirrored become the ‘e’. This keeps the letter true to form, adds symmetry and versatility.